Although your guardian angel is always around, having a charm that symbolizes the angel helps strengthen this connection. Charms that represent guardian angels are not new. 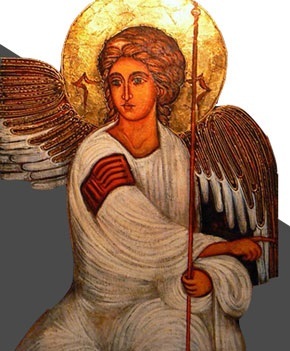 For centuries, people have held objects that represented their guardian angel and that helped them connect with the angel. During the Middle Ages, nobles ordered charms from jewelry makers. They kept these charms close to them at all times. We all have a special object that “gives us luck.” Call it a lucky charm if you choose. Whenever we hold the object, we project spiritual energy. Our feelings and emotions become stronger. The stronger your message to your guardian angel, the more powerful the effect of your prayer. In other words, holding a charm that is strongly connected to your guardian angel while praying to him or her will increase the celestial energy that your angel projects on you. Holding a charm while praying to your angel has a positive effect for two primary reasons. First, when you hold the object and pray your feelings become more intense, the beliefs and emotions get stronger, and the message to the divine angels is made clearer. Second, the angel sees you holding the charm which is a physical representation of him, and he will pay more attention to your prayers.